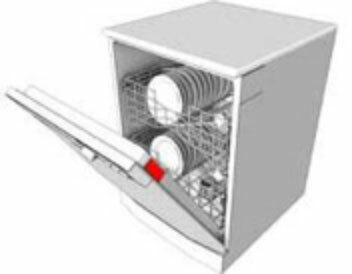 You may find your dishwasher door won’t shut, refuses to stay open or isn’t straight. If it has been installed recently, you will need to contact the installer so the problem can be rectified. If it’s a new problem and the installation isn’t recent, refer to your manual or contact Service Force for a free quote. Appliance repairs can be hazardous and it’s often best to seek professional help from our experienced engineers. When contacting us, please provide us with the model number, product number, ELC number and serial number, which can be found on the rating plate of the device.